Donate a day of your pay. Your gift can be a lifeline to a patient in rural Africa. Now imagine that parent rushing into Fitche Hospital in Ethiopia. Fitche Hospital in Ethiopia serves a catchment area of approximately 1.5 million people and receives a high number of trauma patients who often travel great distances to seek emergency care. With cabinets bare of life-saving medicine, and a lack of basic equipment like IV stands or Oxygen Concentrator regulators, the emergency room team’s ability to save these patients is largely compromised. Some of the more common cases witnessed in rural hospitals in Sub-Saharan African countries like Ethiopia, include injuries due to car accidents, hypoxia caused by respiratory infections, dehydration caused by diarrhea, and postpartum hemorrhaging. Providing timely treatment during these life-threatening emergencies is paramount to decreasing preventable deaths and reducing the burden of disease in developing countries. CPAR is asking you to Donate a Day of your pay and help provide Fitche Hospital with life-saving emergency equipment, training and medicines. With your help we can improve healthcare for people in Ethiopia. 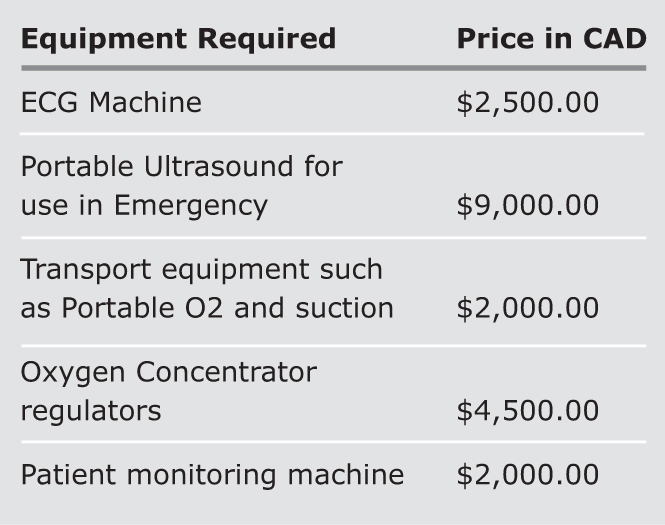 The average cost of emergency equipment for Fitche Hospital is $3,800. With your help we can improve healthcare for people in Ethiopia. 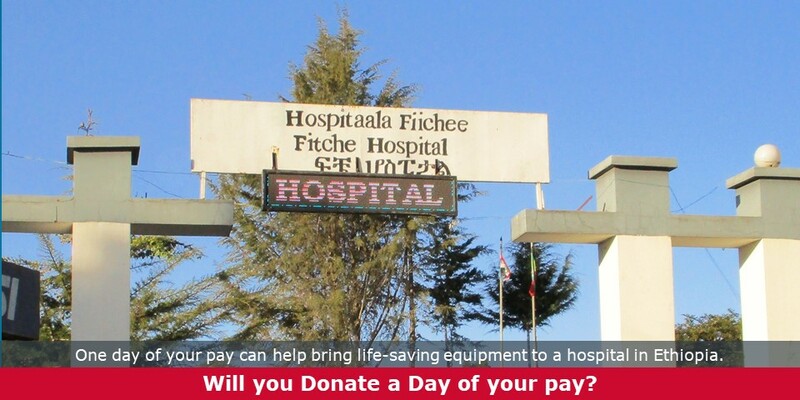 Donate a Day of your pay and help provide Fitche Hospital with life-saving emergency equipment and medicines. Below are examples of some of the equipment you can help purchase.